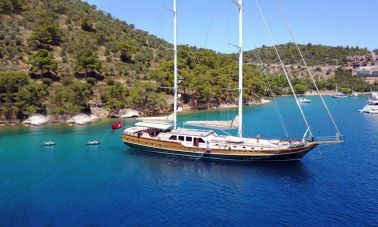 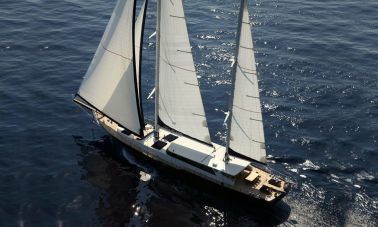 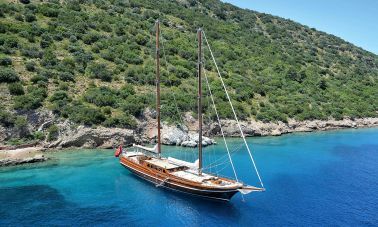 Custom built Turkish vip luxury Gulets are well known all around the world with their sleek silhouettes and beautiful riggings , top of the line vip luxury gulets are mostly built with epoxy lamination system or recently preferred hull materials such as high tensile steel or marine grade aluminium which happens to be the latest pride of Turkish boatyards where mediterranean tradition and space age technology meets. 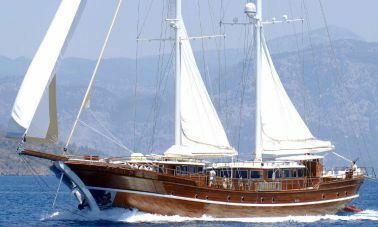 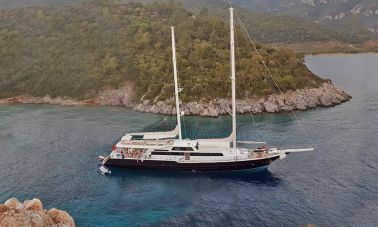 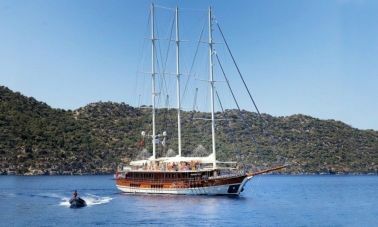 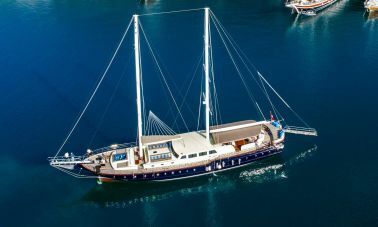 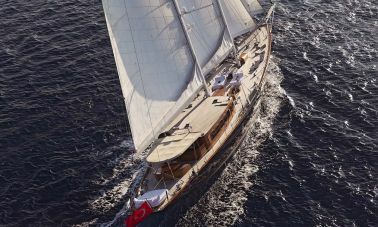 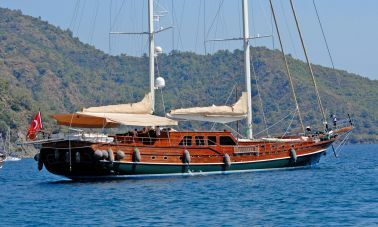 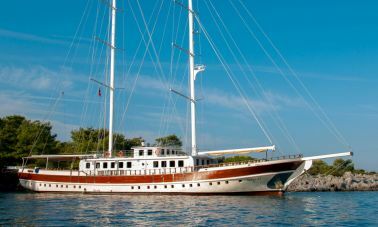 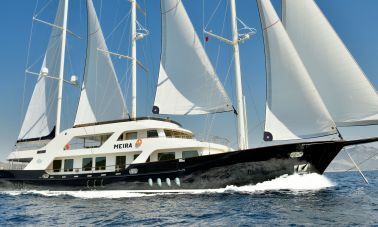 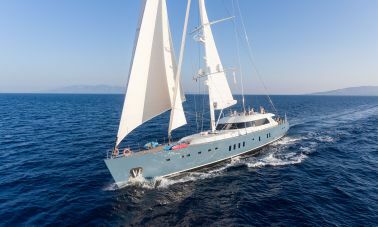 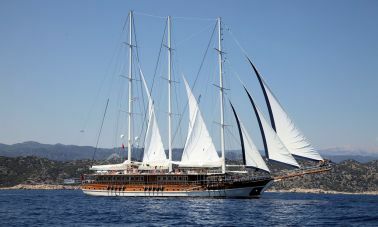 ultra luxury 5 or 6 suits can accomodate upto 12 vip guests in elegance and style where Turkish vip luxury gulets are prepared to perform upto 14 knots speed with their twin 750 hp engines to make sure her guests have a seamless blue water cruising under any sea conditions. 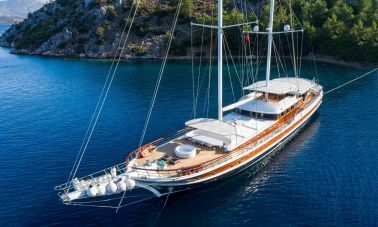 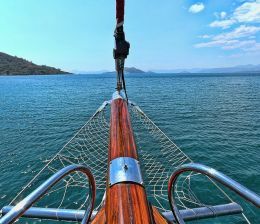 Most Vip luxury gulets are designed and built with modern flybridges and they offer the feeling of a convertible porche with Elegance and 360 degrees scenic drive through Turkish riviera , dodecanese greek islands and the eastern mediterranean mediterranean waters .